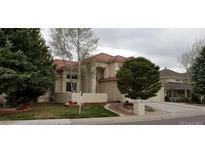 Below you can view all the homes for sale in the West Woods Ranch subdivision located in Arvada Colorado. Listings in West Woods Ranch are updated daily from data we receive from the Denver multiple listing service. To learn more about any of these homes or to receive custom notifications when a new property is listed for sale in West Woods Ranch, give us a call at 720-580-6756. 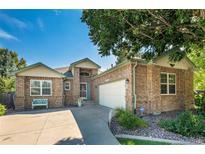 Don't miss this great opportunity to live in this desirable Arvada neighborhood. MLS#1785960. Swan Realtor Group Brokerage. The perfect location for access to Denver, Boulder and the Mountains. MLS#7603692. McClure and Associates. Living Room Fireplace* Newly replaced windows / patio doors w/ Accent windows* Hardwood floors*Updated Kitchen,2016 new appliances* Ceiling fans throughout* A/C* New hot water heater * Security system/custom made security safe*Custom plantation blinds throughout home * Garage has snow melt system on roof, Huge backyard covered patio w flagstone, perfect for entertaining * Fully fenced-2 gate* Professionally landscaped- *Natural gas connection for BBQ grill * Yard lights, front and back*Custom window well covers *Custom Storage shelves*Added Closet shelving* House painted *2015*Updated bathrooms w faucets,lights, toilets and shower doors*Bring your PICKIEST buyers,Turn Key Ready*Basement SAFE* MLS#3428203. 8z Real Estate. Home faces west, snow melts quickly. MLS#4766559. COLDWELL BANKER RESIDENTIAL 56.